Thembalethu Aids & Edu Trust was registered as a Public Benefit Organisation (NGO) in 2005, by the Dutch Reformed, Anglican and Vineyard Churches in the Sundays River Valley, who decided to collaborate their outreach programs to those in need. The Thembalethu Aids & Edu Trust was registered as a Public Benefit (Non-Profit) Organisation in 2005, which enables South African donors to claim tax, from donations to the Trust. The leadership of 3 local Churches (Anglican, Dutch Reformed and Vineyard) started working together in 2004 to give hope to the community.Thembalethu (Our Hope) Aids & Edu Trust was born out of this. One of the problems facing the community is the seasonal labour in the local citrus industry and unemployment. The result is a community struggling with poverty and its associated social evils. More than 50% of the Community is HIV positive. Young people are particularly at risk in terms of inadequate health care, nutrition and education. For 10 years the Trust was involved in home visits on a weekly basis, advice on nutrition and the provision of nutritional supplements (vitamin fortified porridge, citrus, vegetables, rice, antioxidants etc.) Patients also receive counseling and spiritual support in addition to the weekly visits. Bedridden patients are transported to the local Clinic in the Thembalethu vehicle. In the past, patients were either traveling to the clinic in a wheelbarrow, or on a relative’s back. Aids support groups empower one another to take responsibility for their future. Due to cultural superstitions amongst the Xhosa, the population is sexually active from an early age. The Youth Centre was established in 2007 at the Senior Samkelwe School in Nomathamsanqa for the Aids Prevention Program amongst the youth. Workshops, debates, dvd’s, holiday clubs, sports and games are some of the tools to reach the young people in the community. ‘The Abstinence Group’ of 25 teenagers, visits other local schools to teach their peers about the positive life choices they have made. In 2010 Thembalethu ids & Edu Trust provided musical instruments and a music teacher for a youth band. The aim of the band is to teach the community about Aids Prevention through music. 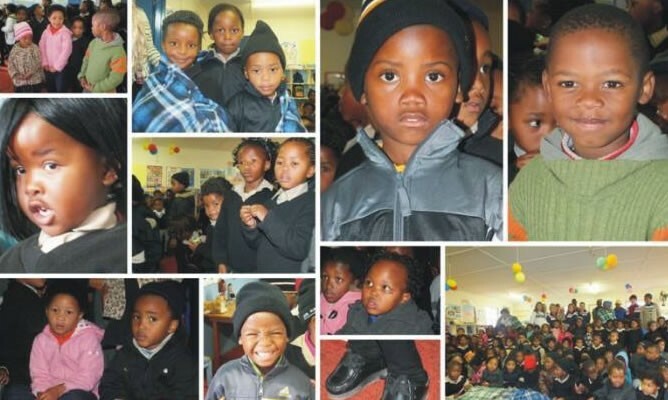 Four preschools in the Valley receive support from Thembalethu Aids & Edu Trust, including the provision of nutrition on a monthly basis serving approximately 300 children under the age of 6 years. When possible Thembaleth Aids & Edu Trust also provides educational equipment, assistance with maintenance on the preschool buildings and training for teachers. Thembalethu Aids & Edu Trust was registered as a Public Benefit Organisation (NGO) in 2005, by the Dutch Reformed, Anglican and Vineyard Churches in the Sundays River Valley, who decided to collaborate their outreach programs to those in need - in the Communities of Valencia, Langbos and Nomathamsanqa in Addo.